Bwindi Forest National Park is the destination for Wild Gorilla Safaris in Uganda considering that it’s home to half of the world’s only remaining Gorillas in the wild. Over 450 gorillas are found in this forest and a couple of these are habituated Gorilla families that are open to tourists for tracking. 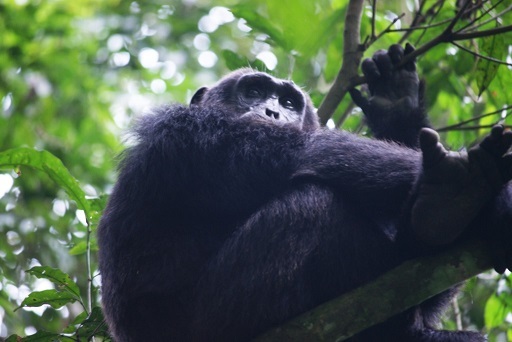 Kibale Forest national park, also commonly known as “the primate capital of the world” since it has the highest concentration of primates in Africa. Chimpanzee tracking is the major attraction in this park and with a remarkable number of over 1450 chimps inhabited in this forest, this does not come as a surprise. 12 other primate species can be found in Kibale forest which include the black-and-white colobus, red-tailed monkey, l’Hoest’s monkeys, blue monkeys, olive baboons, the grey-cheeked mangabey and nocturnal among others. 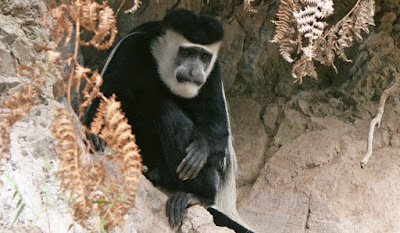 Kyambura Gorge also famously known as “the valley of apes” is found in Queen Elizabeth national park and offers nature enthusiasts a great opportunity to easily see chimpanzees, red-tailed monkey, black and white colobus monkeys in the wild. This forest is believed to have a resounding over 600 chimps in its forest cover and Kaniyo Pabidi is the best place to go chimpanzee tracking. Six chimp groups have been habituated in this place thus offering quite an exciting experience for tourists. Monkeys can also be seen roaming around here. Tourists wishing to visit these amazing destinations do require to make prior booking to avoid any disappointments since a certain number of visitors are allowed to visit some of these places for each single day.